Orlando, El Paso, Chicago. 3 trips over 2 months. Planes, trains & automobiles (quite literally). This is part 2 of a summer travel series: trains. During my trip to Chicago, I discovered than train travel is very different from plane travel. Yep, Chicago was my first train ride. I’m used to flying. I’ve been flying since I was 18 months old. But trains are a whole different ball game. 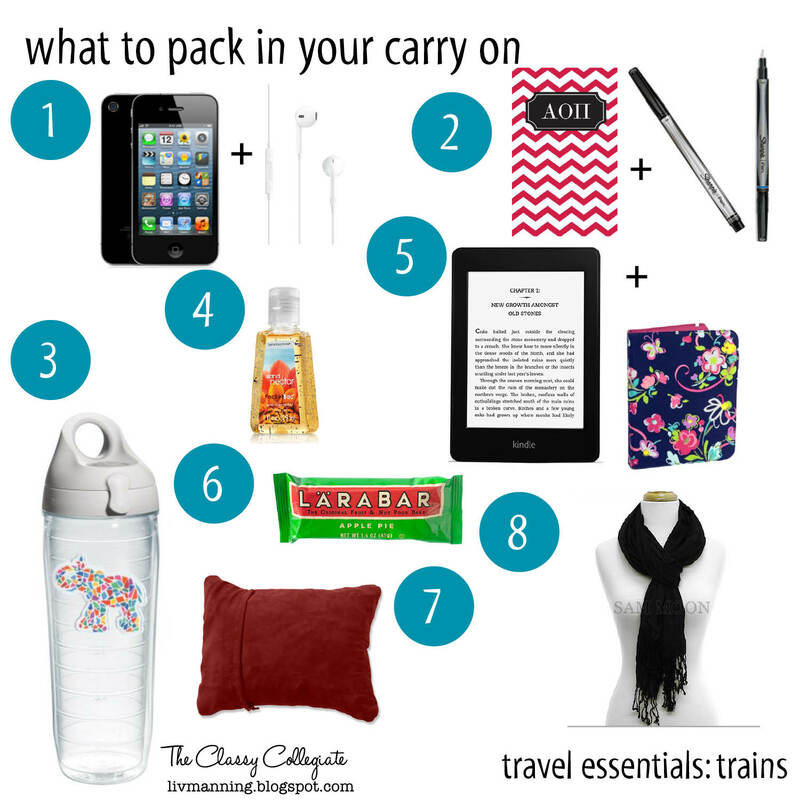 Now that I’ve survived my first train adventure, here’s some essentials to get you through! 1. phone/iPod + charger + headphones | Most trains come equipped with outlets, so be sure to have all your chargers within reach. 3. water bottle | Start with a filled bottle to keep hydrated during your journey. There isn’t a place to fill one up on the train. 4. hand sanitizer | Train bathrooms are gross. You’ll want hand sanitizer, trust me. 5. kindle | Load it with a couple of books to get you through the trip. 6. snacks | If you’ll be traveling through a meal, pack one. There isn’t a great selection on the train. Also, munchies & some sugar never hurt! 7. travel pillow | Quick tip: if you are traveling alone spread out across two seats and sleep (or pretend!). No one will bother you & you won’t have to sit next to a creepy old man. 8. pashima | Our train was so cold! This could double as a blanket if you need it. Have you ever taken a train? Where did you go?